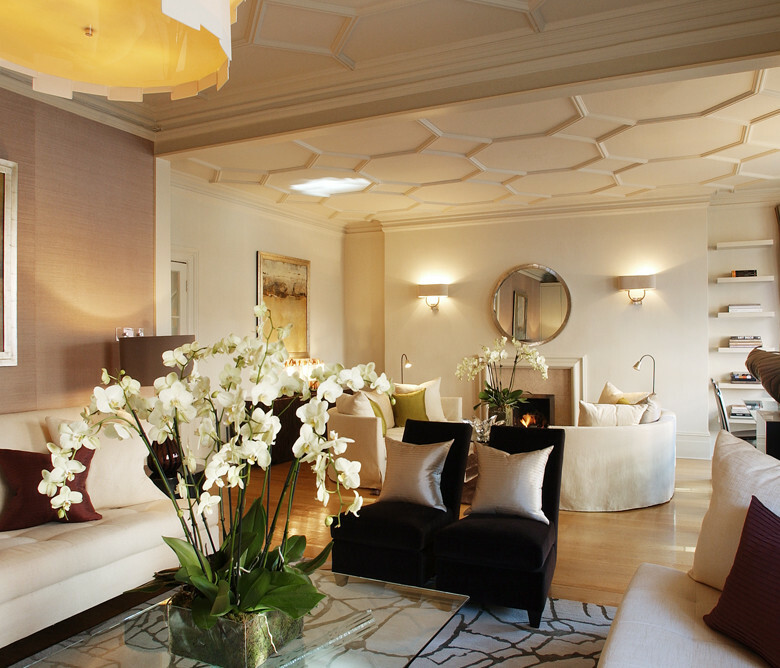 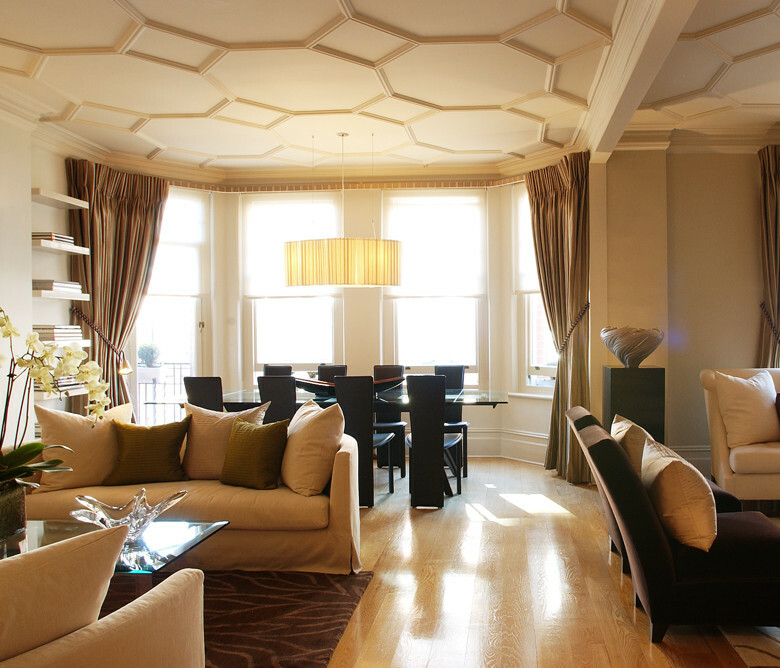 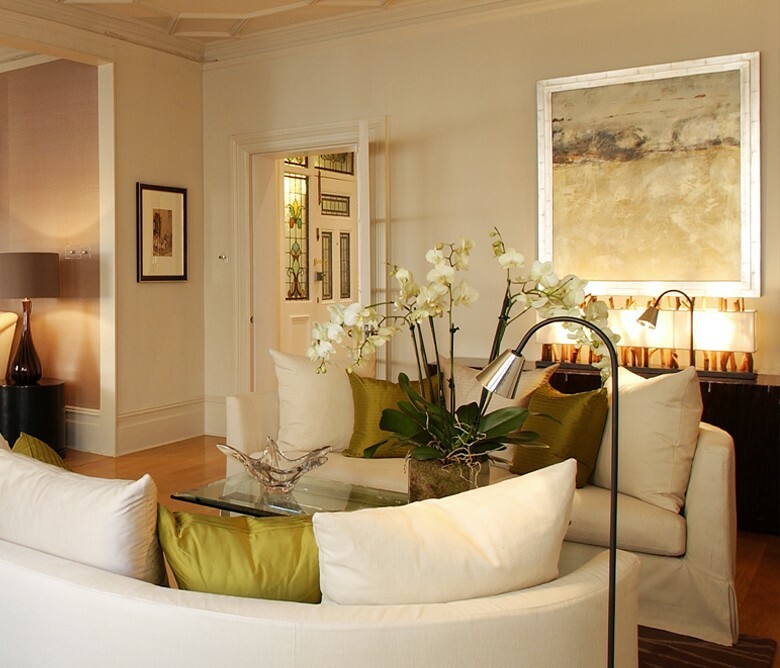 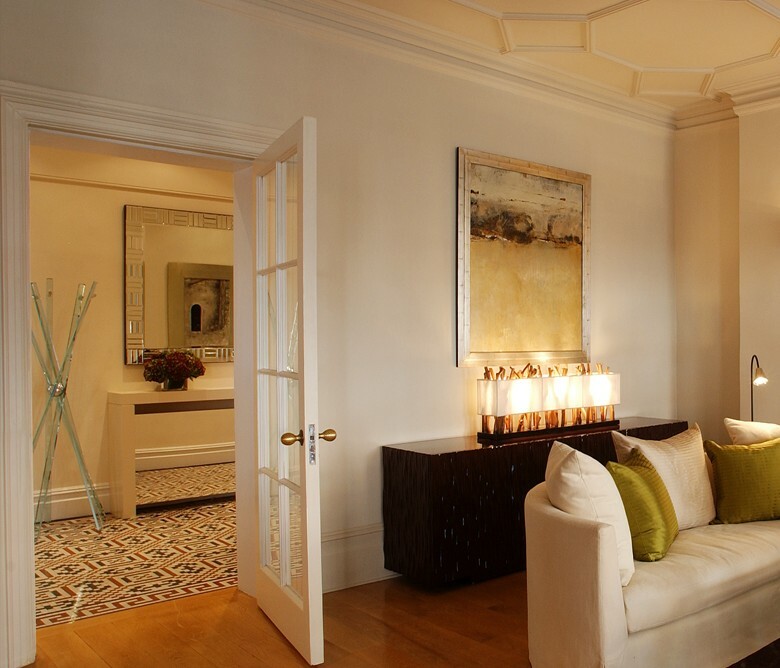 This striking family apartment has been remodelled to improve and enlarge its entertaining potential. 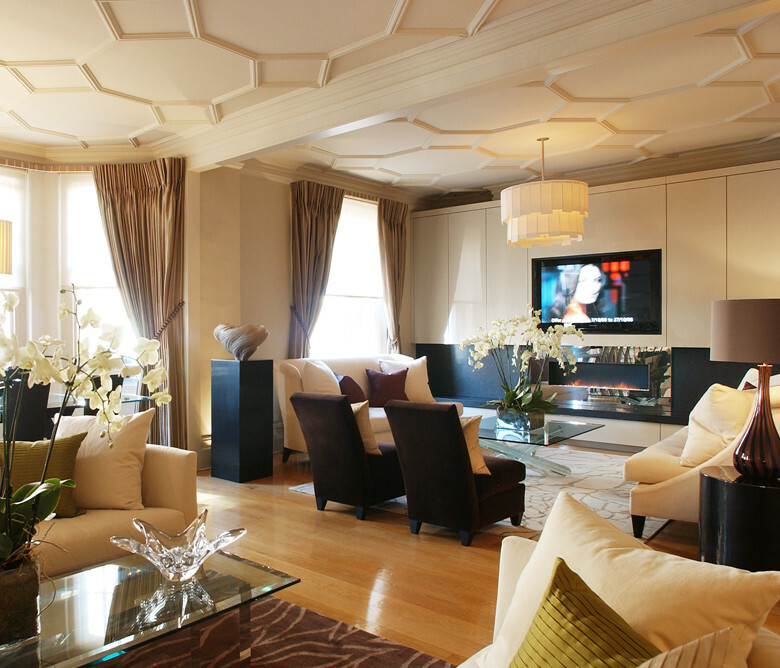 State-of-the-art audio visual equipment has been discreetly incorporated into the interior scheme and high-gloss lacquer finishes on the cabinetry blended with concealed lighting at low-level silhouette and highlight accent furnishings. 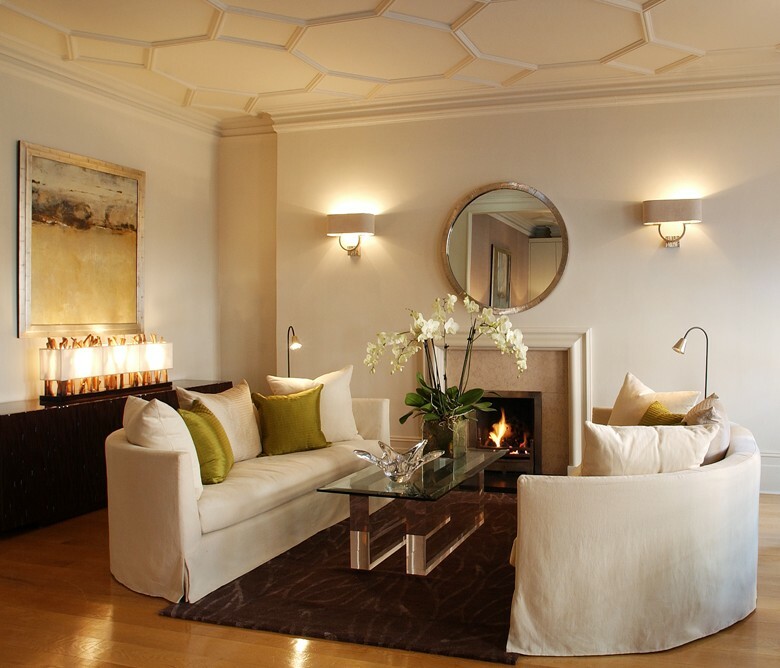 A feature fireplace provides a focal point and ambience.